And that takes me to my Roasted Garlic and Spinach Parmesan Pizza. 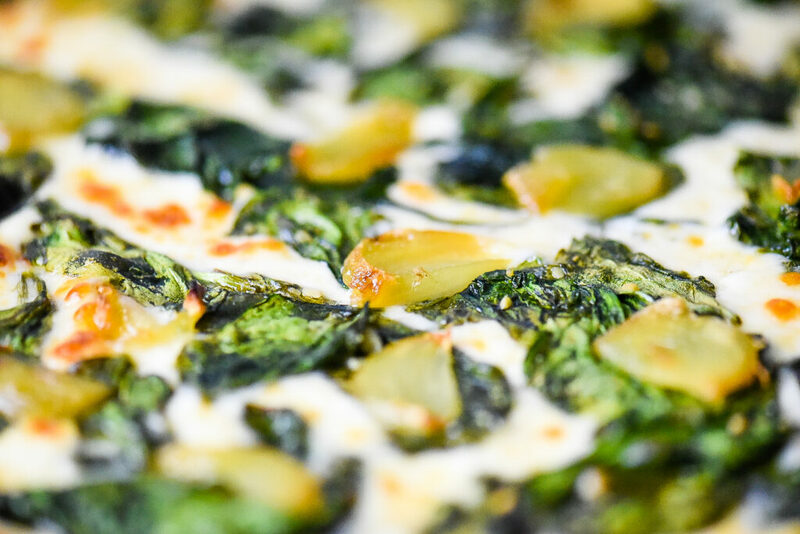 Fresh spinach is pretty awesome when you combine it with garlic and Parmesan and the added health benefits are just a bonus. Plus, roasting your own garlic will not only fill your home with an aroma of an Italian restaurant, but it delivers with a buttery, rich, slightly sweet and creamy texture. Trading out a traditional red pizza sauce for a white sauce is also a prize. 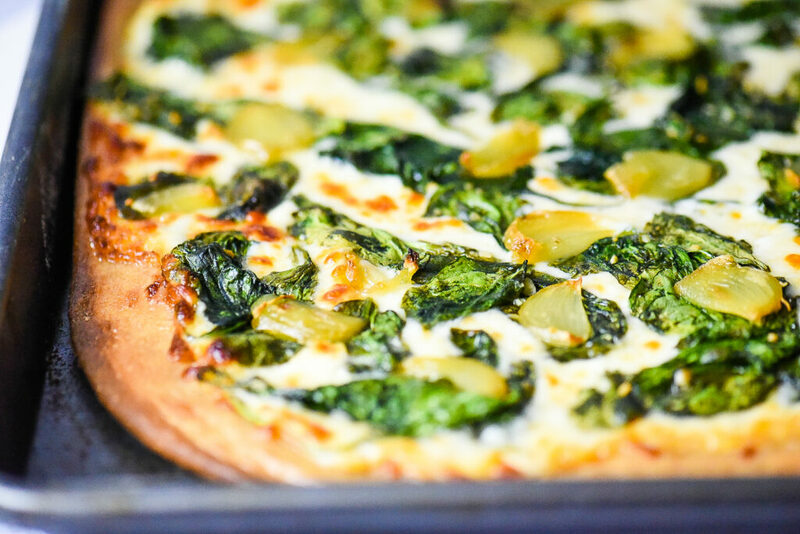 The white cream sauce combined with mozzarella on top of the wheat pizza dough makes you want to kiss the cook. 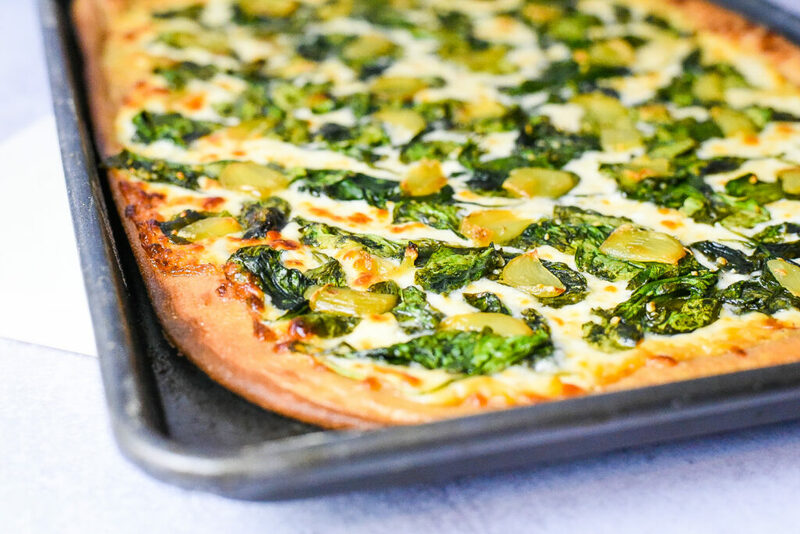 This simple recipe, that is finished off with slivers of roasted garlic, has immediately made this a family favorite in my home. When you are ready to dive into this recipe begin by removing only the outer layer of the garlic bulb and cut the top to expose the crowns of the garlic cloves; all while keeping them intact. 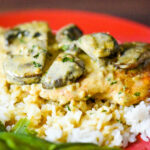 Be sure to not over cook your fresh spinach so it doesn’t become over wilted. It will finish cooking in the oven so it will come out perfect. 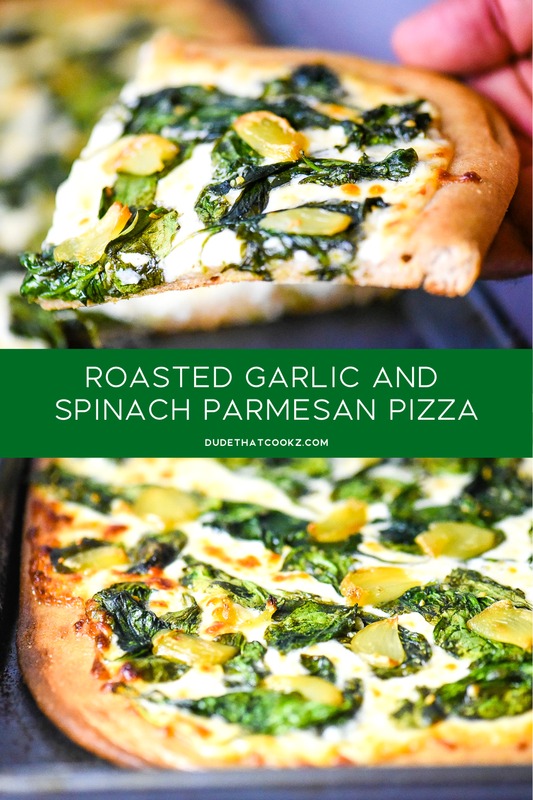 When you want to keep your pizza night tasty with a dash of “healthy” give this Roasted Garlic and Spinach Parmesan Pizza a spot and I promise you won’t regret it! 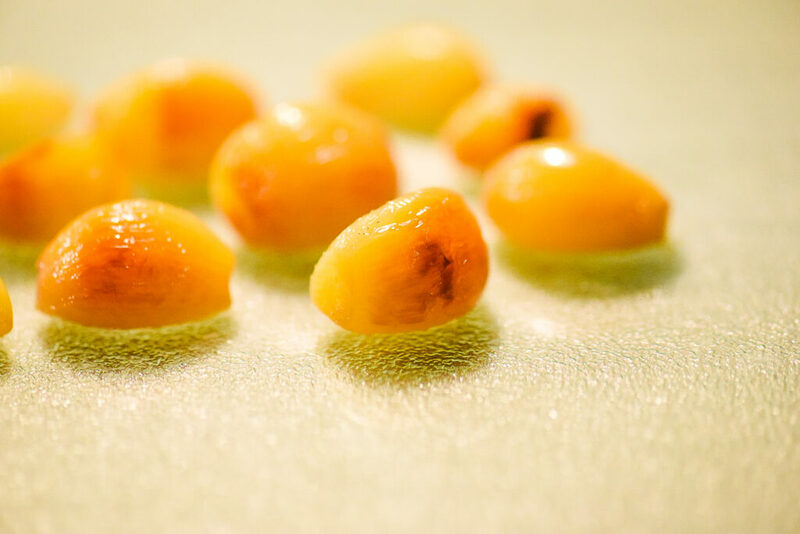 Begin by removing the outer skin of the garlic bulb. Cut the top of the garlic to expose the crowns of the cloves. Pre-heat oven to 400 degrees and coat the top of the exposed garlic clove with olive oil. Cover with foil and cook the garlic for 30 minutes on a baking sheet. Set to the side. While the garlic is cooking, pre-heat cooking pan on medium/low heat. Add 2 tbsp of butter and 2 tsp minced garlic. Slightly stir then add 1 tsp of all purpose flour and continue to stir while adding whipping cream, 1 tsp black pepper, Parmesan Cheese and 1 tsp garlic powder. Pre-heat separate cooking pan on medium heat and add 1 tbsp olive oil. Add fresh spinach and top with onion powder, remaining garlic powder, remaining black pepper, salt and remaining minced garlic. Cook for 2 minutes and remove from heat. Spread pastry flour over kitchen counter top. Place fresh dough onto flour and begin to shape dough into a rectangle shape using hands. Finish shaping, flattening with roller and add to rectangular baking sheet. 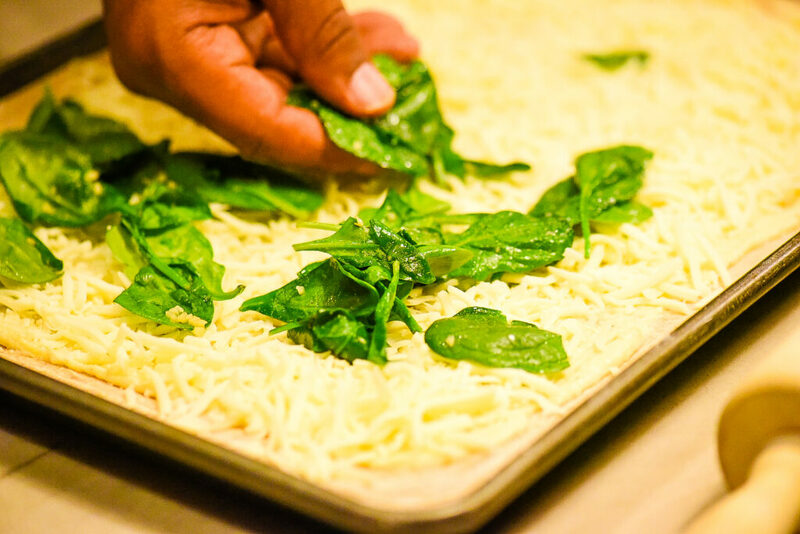 Spread the Parmesan sauce over the crust leaving the edges uncovered (around 1-inch). 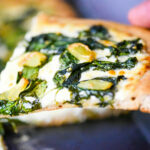 Top off sauce with mozzarella cheese then place spinach over the cheese. 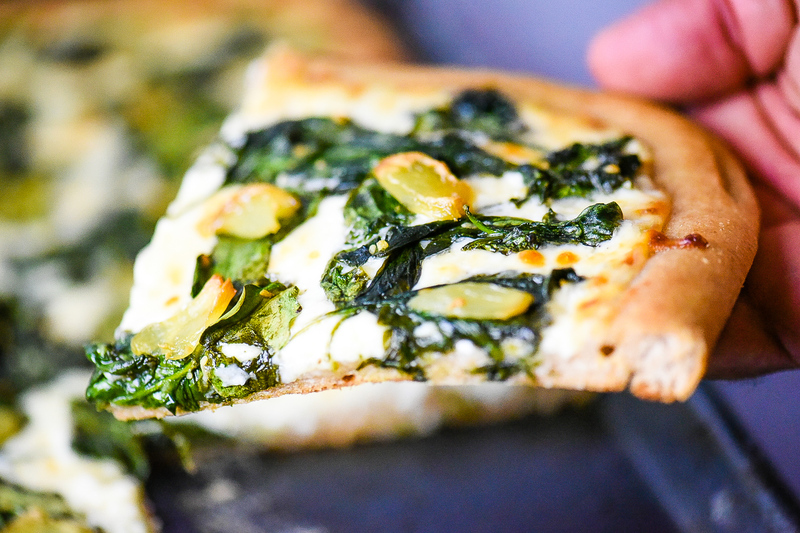 Thinly slice each roasted garlic clove and add to the top of the spinach on pizza. Bake pizza for 400 degrees for 18 minutes. Serve hot.